I just LOVE a good massage. Especially if I haven’t had one for awhile, it seems like my body just craves that special massage touch, that human-to-human sculpting of skin that brings its own special kind of pleasure. And if I’m hurting somewhere, I crave and thoroughly enjoy that exquisite feeling of pleasurable pain. But lately, as both a consumer and a practitioner, I have been finding answers to the questions that pain poses in the practice of craniosacral therapy. 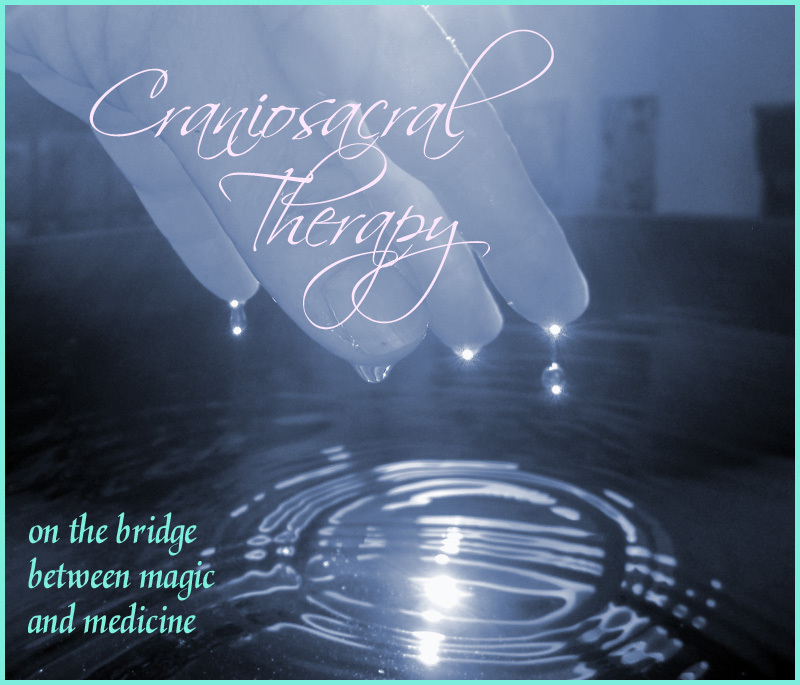 Craniosacral therapy, I like to say, stands firmly on the bridge between medicine and magic. We are learning more about the human body every day… and much of what we now know is NOT what we were taught in high school biology class. CST was founded (discovered?) by doctors and chiropractors… people who were observing closely the way the body moved and healed. They had front seats to the mystery of healing, as well as an up-close-and-personal experience of the range of human experience and the lack of explanation for so much of it in the medical community. Craniosacral therapy can often SEEM like magic… but it is founded in science, observation, experimentation. And the more science is learning about the body, fascia, electricity and energy, communications, etc., the more the theories and practices of craniosacral therapy make sense. People have a belief that life is difficult and healing is painful. CranioSacral Therapy helps them let go of that belief. The healing process can be much more gentle and subtle. Few structures in your body have as much influence over its ability to function properly as the brain and spinal cord that make up your central nervous system. And few systems have as much impact on the brain and spinal cord as the soft tissues and fluid that surround and protect them — the craniosacral system. Every day the body endures stresses and strains and your structures compensate for them. Unfortunately, over time these compensations can cause your soft tissue to tighten and distort the craniosacral system, which in turn can put pressure on the brain and spinal cord. The result? A barrier to the healthy performance of your central nervous system — and potentially every other system with which it interacts. CranioSacral Therapy is designed to release those soft-tissue tensions. Practitioners use a soft touch — starting with the weight of a nickel — to evaluate how well your craniosacral system is performing. Then they use gentle techniques to release any tensions they find. By restoring the best possible environment for your brain and spinal cord, CranioSacral Therapy naturally helps the rest of your body self-correct. It eliminates the negative effects of stress, strengthens your resistance to disease, and enhances your overall health and well-being. CranioSacral Therapy has been used successfully to relieve numerous health problems. They include migraines, neck and back pain, TMJ dysfunction, chronic fatigue, fibromyalgia, ADD/ADHD, central nervous system disorders and many others. And because it’s so gentle, it’s been proven effective for all ages, from newborns to elders.